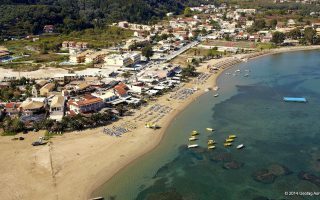 Agios Spyridonas beach is a beautiful, quiet beach with crystal waters. 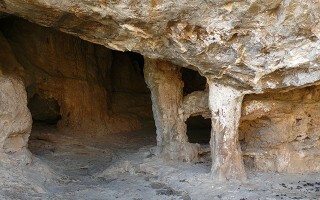 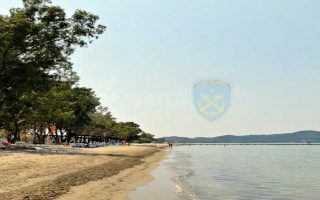 It is located on the north-western coast of the island facing the Antiniotis Lagoon, a significant wetland of the region. 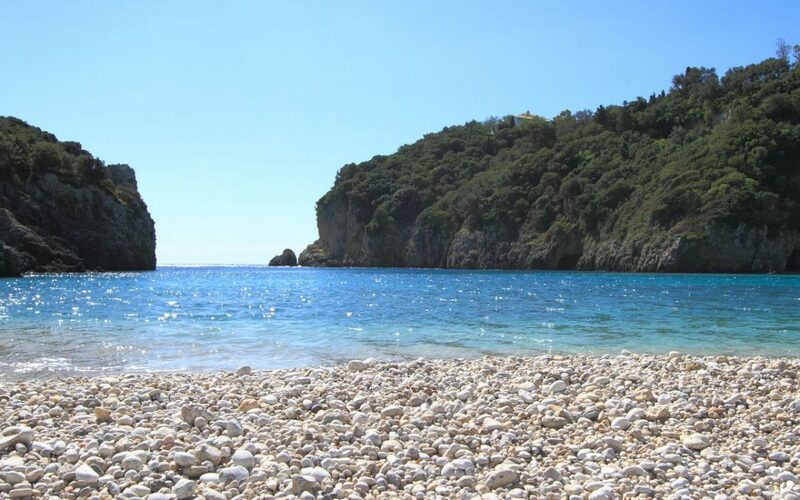 Agios Spyridonas beach was named after the picturesque chapel which is situated on the shore. 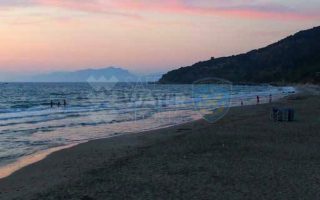 In this area you will find some restaurants, coffee shops and hotels preferred by tourists who seek tranquility during their holiday. 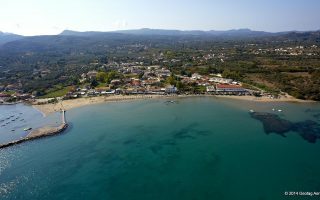 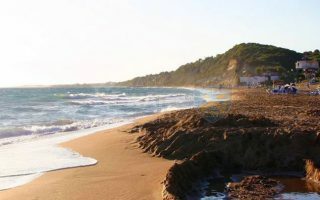 Agios Spyridonas beach is covered with sand and it has been awarded with the Blue Flag for its clean waters. 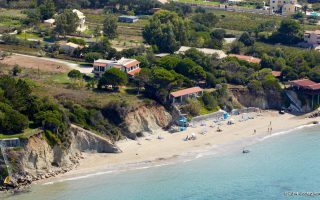 You can rent deck-chairs and parasols and there are sea sports facilities. 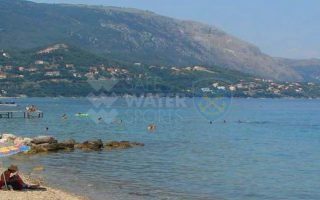 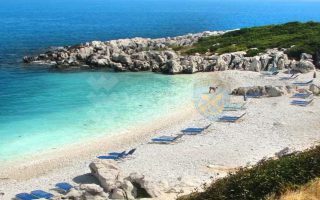 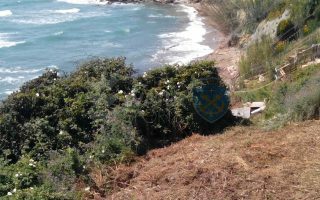 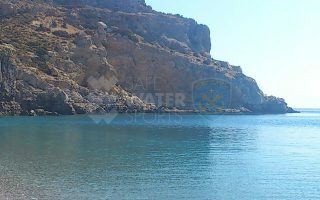 You can find this peaceful beach between the resorts of Kassiopi and Acharavi, where you can find not only a variety of accommodation but also all sorts of shops: pharmacies, banks, super markets, infirmaries etc. 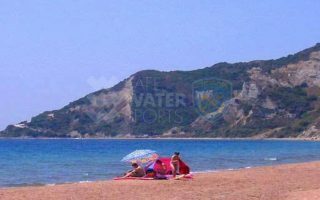 Do not forget to browse, before or after your swim, around Lake Antinioti which is protected by the Natura treaty 2000 and is a verdant place with flowers and wild vegetation, an excellent landscape for strolling, taking photographs and even having a picnic if you are careful.